Spring is officially here, and so is some pretty perfect Florida weather. 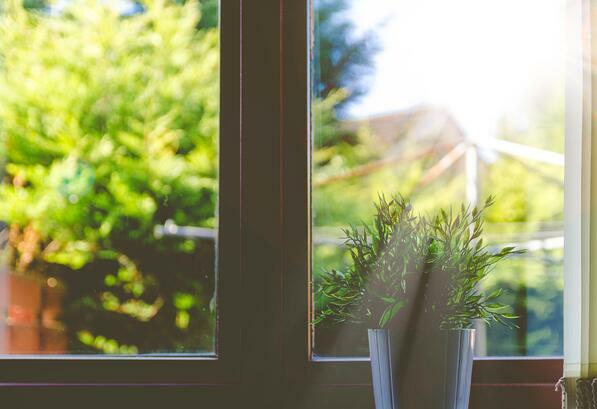 Getting outdoors is something many of you are probably enjoying right now, and there are a few things you could be doing around your house to make sure it’s ready for spring. As a homeowner, it's key to keep your home in tip-top shape for yourself and for future homeowners as well. Pressure wash the outside of your home and the surrounding area. Many homeowners think about giving their siding a good washing from time to time, but doing it on the regular and adding your gutters, driveway, and/or sidewalk to the list is a good idea, too. Clean your windows and screens. You may be able to pressure wash your windows, but be sure to pay special attention to your screens when doing so. If they are in good shape this shouldn’t be a problem, but if they are starting to wear, you may want to just use a hose instead to avoid tearing. Give the inside of your home a deep clean. A few ideas? Wipe down baseboards, dust your blinds, and clean off your ceiling fan blades. While you’re at it, be sure to replace your A/C filter, too. Speaking of A/C, summer is coming, and right now is the perfect time to have maintenance done on your A/C unit and/or pool pump. They are going to be working overtime soon, and ensuring they are properly maintained will pay off in the long run. Looking for more easy spring projects you can do around your home? Check out these blogs, or download our free guide below!